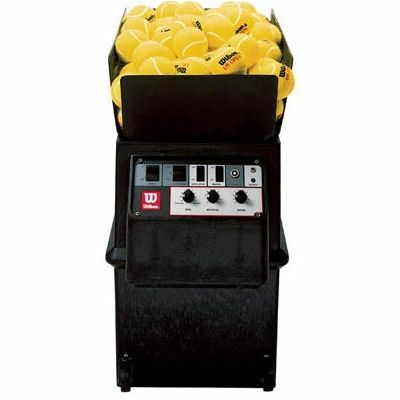 The Wilson portable tennis ball machine combines state-of-the-art portability with the performance you expect from Wilson. It is lighter (38 lbs) and more compact (22" x 14" x 20") than any ball machine with similar features. The machine also includes a built-in handle and towing wheels to enhance portability. It has a capacity of 110 balls and ejects them at the speeds of 10 to 70 mph. The machine enables you to play for 3 to 4 hours. 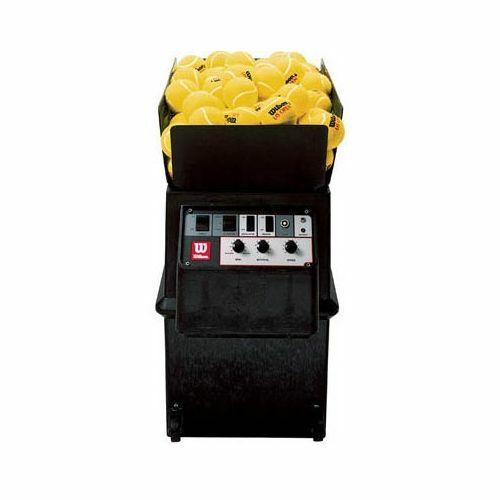 The tennis balls shown in the image are not included with the machine. for submitting product information about Wilson Portable - Tennis Ball Machine We aim to answer all questions within 2-3 days. 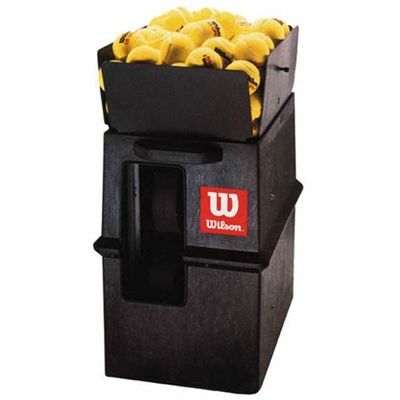 for submitting product information about Wilson Portable - Tennis Ball Machine. We aim to answer all questions within 2-3 days. If you provided your name and email address, we will email you as soon as the answer is published. for submitting product review about Wilson Portable - Tennis Ball Machine.